Insight makes it easy to look at different sets of pupils and then compare them in various ways. It's the same method throughout the system, so it's quick to pick up. 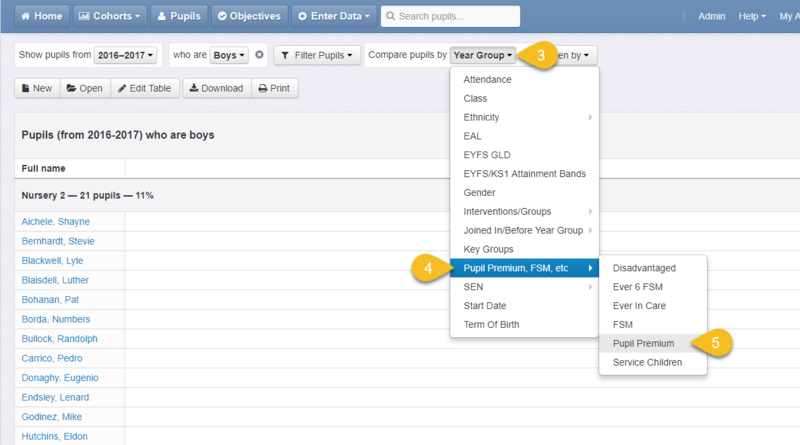 You can Filter Pupils to tell Insight which children you want to see. That might be the whole school, all your SEN pupils, just your class or a more specific subset. 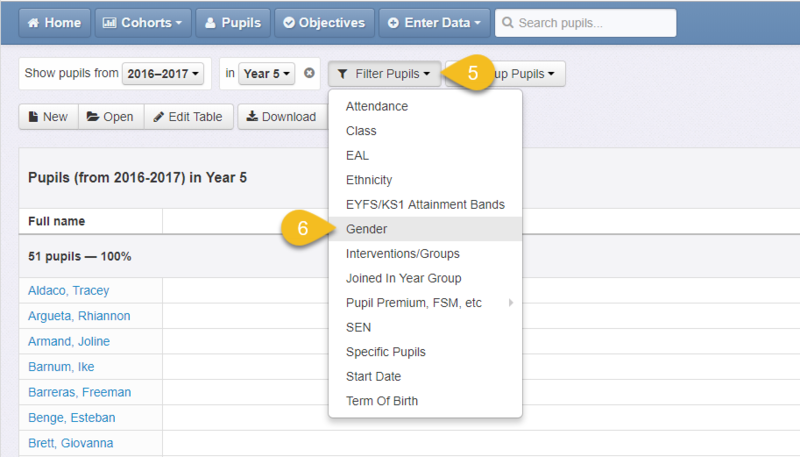 Filters can also be combined, so you can view just Year 6 SEN pupils, for example. The Tables report is a great place to get the hang of choosing and comparing sets of pupils. 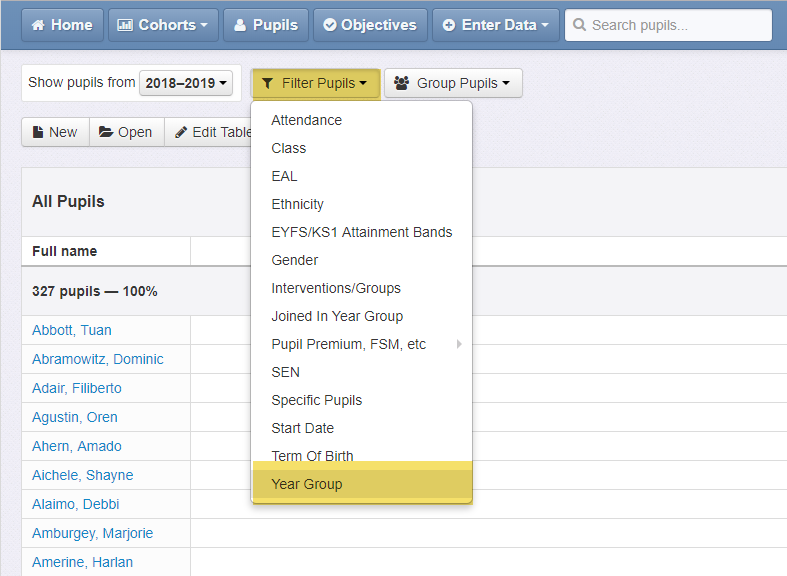 You'll be able to see the list of pupils changing as you apply and remove the filters and groups. Insight remembers which filters and groups you used last, and may already have a Year Group filter turned on to help you. If your toolbar looks different than the one above, don't worry! You can always remove anything else that's there by clicking the symbol. You can narrow down from looking at the whole school by clicking Filter Pupils. Let's choose the Year Group filter as an example. 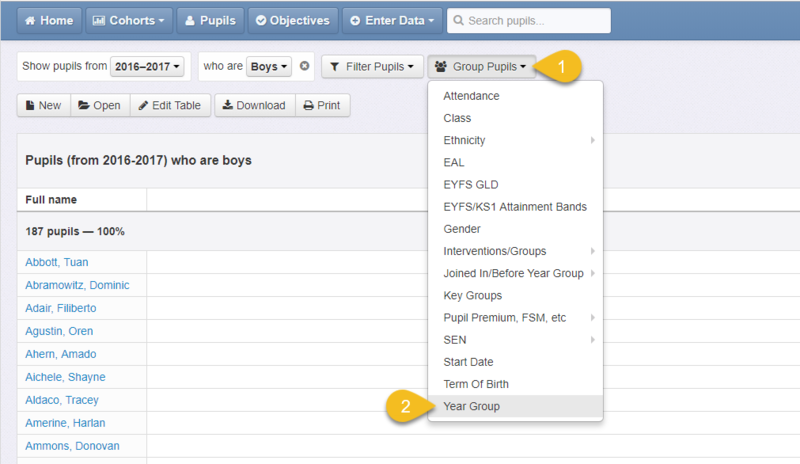 On some reports you can sort the pupils you're looking at into various groups, to make comparisons. Now the 2016-17 boys are grouped by Pupil Premium instead. Tip: Adding and removing filters and groups doesn't change your data in any way, so feel free to explore the different options to see what's available. For more information on how specific Filters and Groups work, please visit our Filters and Groups guides.